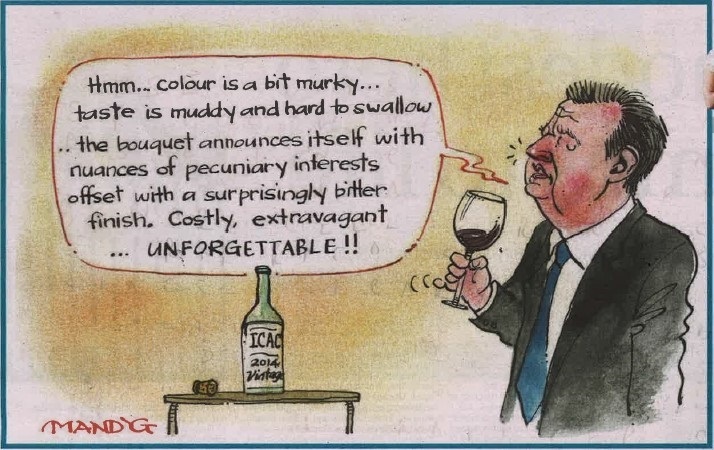 1959 Chateau d’Icac | Words, By George! Tasting Notes: The 1959 Chateau d’Icac. Celebrated vigneron Nick Di Girolamo has excelled himself with this rare and striking Premier Grand Cru. Selected from old grapes of wrath vines at the Obeid family’s Mt Corruption vineyard in NSW and cellared in Rum Corps oak casks, the wine reveals hidden gifts of subtle complexity. The brown nose offers a concentrated aroma of decaying cattle dung, complexed by persistent spice notes of rotten fish and more than a hint of unsavoury greased palm. An intense palate of bitter fruits displays weak backbone and piss-in-pocket acidity, with a lingering after-palate heightened by a signed “thank you” note of unmistakeable provenance. 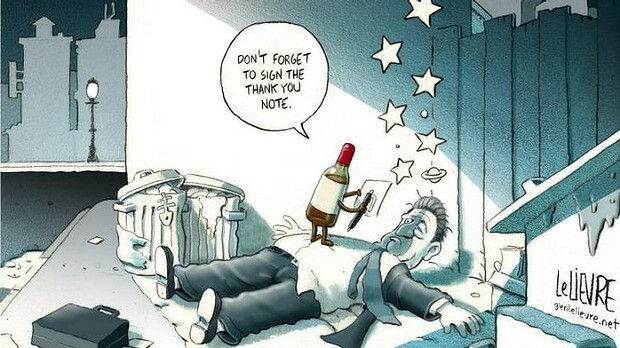 A wine not to be forgotten.